Square did some number-crunching to identify nationwide pricing trends. 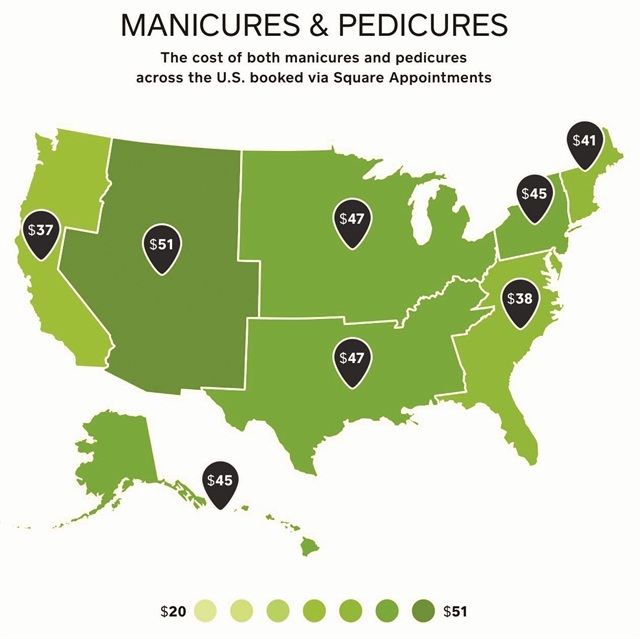 > Customers in the Mountain states on average spend the most money on their mani/pedis ($50.73). > West Coast customers spend the least on their mani/pedis ($36.89). > The most affordable manicure in the U.S. is in the Mid-Atlantic states at $20. The most expensive manicure is in the Mountain states at $29.08.